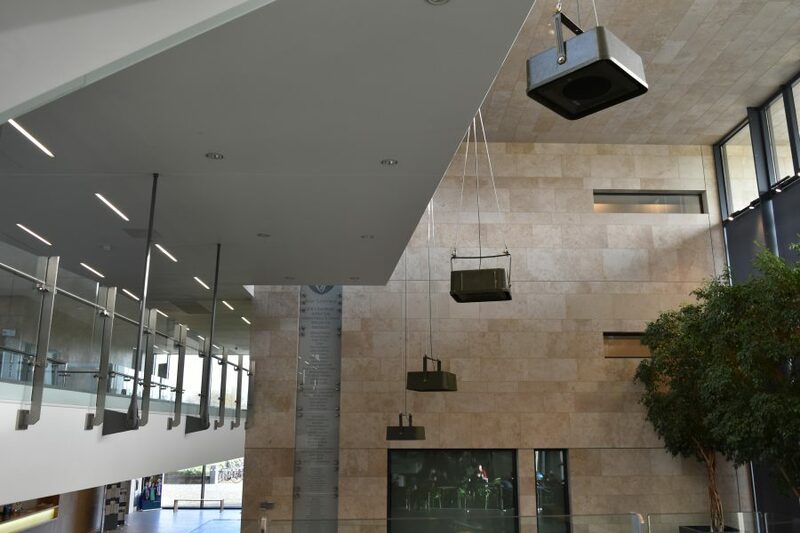 Rest here is a temporary spatial sound installation made from the song of the Common Swift developed by Michael McLoughlin while the UCD College of Social Science and Law Artist in Residence 2015. The piece developed initially from a conversation in the Sutherland School of Law about the journey that people connected with the School have made to be here. The focus was on the countries from which student, academic, administrators and service staff have travelled and the migrations of birds to Ireland from these countries. The Common Swift is one of these birds. It makes a journey from the Mediterranean, North Africa and the Middle East to Ireland every year. And every year it bears witness to the happenings in the countries it flies above, returning to Ireland with the stories of what it has seen. When it arrives in Ireland, once a year, it rests. In heraldic tradition the swift represents the exiled, or one without land. Yet we meet it as the communal bird, drawn together by each others’ song, returning, gathering in colonies, ; nesting, raising youngand resting before taking flight once again. As the piece developed during the summer of 2015 a clear focus emerged. The parallels between the story of the swifts’ journey and those of people taking flight from the Middle East and North Africa in search of refuge deepened. This artwork has a simple premise. It’s an invitation, an extended welcome to the landless traveler and to remind us that we are part of their journey. We can offer support, hope and a safe place of rest. Rest Here was created using recordings of swifts provided by Birdwatch Ireland. The treatments within the piece slow the speed of the birgsong in relation to our heartbeat, resulting in a tonal layer that carries the movement of the swift around the atrium.